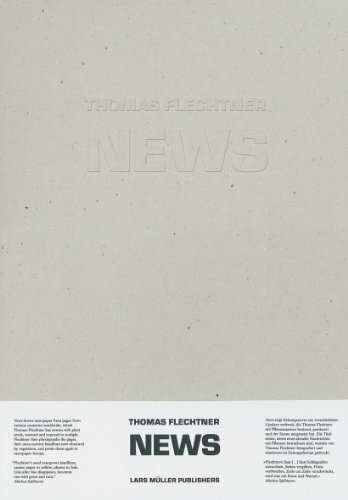 News represents a further development of the much-acclaimed work of artist Thomas Flechtner. Whereas in Snow he looked at snow as a metaphor for timelessness, calm, distance and loneliness, and in Bloom Flechtner used atmospherically condensed studies of plants to examine the boundless colorfulness and movement of grown nature, for his new project News Flechtner collected newspaper front pages over a period of one year, scattered plant seeds from very different countries over them, watered them, and finally, exposed them to the sun. He recorded the way the “news”was gradually bleached and overgrown with plants in more than one hundred color photographs. Flechtner contrasts the anarchy of nature wit the agenda of mankind, while also questioning the fleetingness of memory and the demands made on it in shaping today’s world.